For the first time in the history of the Alpine Convention, the conference of ministers from its signatory states will take place during the AlpWeek. By holding these events at the same time, the Swiss Presidency of the Alpine Convention is sending a signal, bringing together all states and organisations engaged in the Alpine space. AlpWeek is the right place and time to meet, as it is organised by many of the observers of the Alpine Convention. We hope that Poschiavo will see the emergence of a new spirit of pan-alpine and cross-border cooperation. This cooperation will be successful only if it is focused on specific targets. One of the most important of these is the economic, social and ecological renewal of the Alpine space, with a particular emphasis on sustainable development. 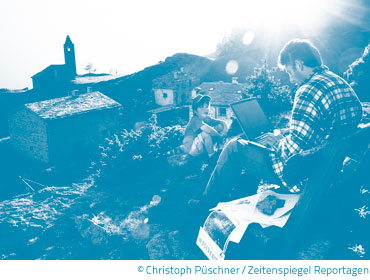 The theme of AlpWeek – "Renewable Alps" – is an invitation to use the wealth of opportunity presented by Poschiavo to explore the renewability of the Alps together with those who live there, as well as experts from government, planning, science and civil society. The location of the AlpWeek has not been selected by chance. The Poschiavo valley is a good example of how a remote area is seeking out new means of development through both innovative projects and enterprises, and cooperation with neighbouring regions of Italy. Come and see for yourself! We very much hope that you will join us for the AlpWeek 2012 in Poschiavo, and gather renewed inspiration and impetus for your future activities in and for the Alps. "In Valposchiavo you come across it – not only in the countryside but also in the villages, especially in Poschiavo, its central town whose features defy any expectations. "One immediately gets used to the Leaning Tower of Pisa: it is a monument one has come prepared for. But the experience of the unexpected, the strange, unique, eccentric even, will never become routine – least when it is brought alive by people and life has imbued it with a soul. Each new view recreates one's first impression. "It may be a disprovable thesis, but such has been my experience."